Sign up NOW for fall tryouts! 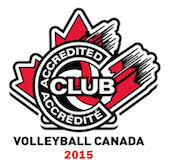 Fall tryouts for the 2015/2016 season are just over the horizon! Maverick coaches are pumped up and looking forward to meeting new athletes and assessing the progress of return players from their summer training. Announcement of our Head Coaches starting with the High Performance teams and then the Competitive teams throughout July and early August. The registration form allows you to select to be assessed for either HP or Competitive, or, if you know you cannot make the kind of time commitments required of HP, you can select COMP ONLY. Athletes born between September 1st and December 31st can choose to play down a level. If you are interested in doing this, please check the correct box and provide your reasons. Athletes who feel they can win a spot at a higher age level can also indicate their preference on our new registration form. Tryout dates and locations will be announced as soon as details are finalized with the appropriate Boards. Please contact us if you have any tryout-related conflicts at that time, and we'll do our best to help you fit everything in. Have an active summer... and keep calm.